For a replacement or duplicate copy of your transcripts, please contact the issuing School. Please note, there may be a charge for each duplicate and preparation of duplicates may take up to 10 working days. You can order your replacement online here. Student Registry aims to post replacement certificates within five working days of receipt. Please note you may only have one copy of your certificate. Would you like to get together with old friends and former classmates from City? We can help you organise a reunion, all you need to do is complete this form. To visit City, simply contact us and we will be happy to arrange a convenient time to take you around the University. Please note you will require an alumni card. 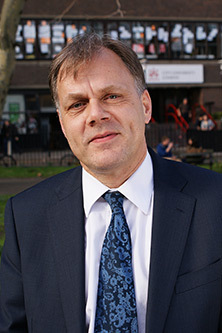 Tim was appointed in November 2011. He was previously Director of Marketing & Communications at the University of Hertfordshire and began his career in Higher Education at the University of Nottingham as its inaugural Director of Marketing & Communications in 2000. Prior to his time in Higher Education, Tim gained extensive marketing and brand development experience within the leisure retail industry. Tim is a graduate of the University of Sheffield where he gained a first class honours degree in Economics & Town Planning. Tim is a Fellow of the Chartered Institute of Marketing and an active member of the Council for the Advancement and Support of Education (CASE). He is a founder member of the Universities’ Marketing Forum in the United Kingdom and the UK HE Strategic Marketing Programme. Tim is a regular speaker at Higher Education conferences and events. Contact me if you are interested in learning more about what the City Alumni team can offer to the alumni community; if you would like to organise City alumni events in London or your home country; and to share ideas on how to engage the City alumni network. I look after our alumni communication channels including the website, blog and social media. Contact me if you’d like to promote your success or reach out to other alumni. View our news and publications. You can also join our LinkedIn groups or follow us on Facebook, Instagram and Twitter . I look after the alumni communication channels for Cass Business School. If you’d like help promoting your achievements or news on our blog, social media accounts or website, please get in touch with me. For updates on all alumni activity, please join our Cass Community or our LinkedIn groups. You can also or follow us on Facebook, Instagram and Twitter . I support the establishment, development and delivery of a programme of UK and international alumni events and activities to support the needs of alumni, individual School initiatives and the Institution. You can also contact me if you would like help organising your own reunion with your former classmates or are interested in representing the Alumni Network in your home country and would like to become an Alumni Ambassador. I look after our Alumni Ambassadors in Europe, Africa and the MENA region. I plan and provide on-going support for both UK and international activities and events. Contact me if you would like help organising a reunion with your former Cass classmates or if you would like to become an Alumni Ambassador for the university in your home country. My role within the team is to work collaboratively with my colleagues to support the delivery of engagement with alumni. I act as first point of contact for all general alumni enquiries, providing advice and guidance to former students. Contact me if you require a City alumni card or for any other enquiries. Contact me if you are a graduate from Cass and have any alumni related enquiries or would like an alumni card. I also support the rest of the alumni team and our engagement with the Cass Alumni community. I look after the Fundraising Team at City, helping City and Cass to build lifelong relationships with people who share the university’s values. I joined the team in August 2018, following similar roles in charities and other educational organisations. I help to enable our generous donors to make a real difference to City, our students, and others who benefit from our work. The impact that our donors can make is truly remarkable and is one of the reasons why I enjoy what I do. Please do get in touch with me or one of my team if you would like to discuss the impact that your gift could have. I joined City after years of fundraising experience in the United States in the arts and culture sector for The Joffrey Ballet of Chicago. A connector and networker by nature, I look forward to building relationships with City alumni and friends and family of the University. My drive is to help deliver income to the institution to benefit the students and future of City, University of London. Contact me if you would like to make an impact on City’s present and future. After several years fundraising for various non profit organisations in the UK and abroad, I am excited to be joining City, University of London. I look after income generation from Trusts and Foundations for a range of projects across the University. Funding from Trusts enables City to pilot innovative ideas, support students and their experience and continuously improve University facilities. Contact me if you want to partner with us to make a difference to City now and in the future. I joined City in May 2016 after working in a similar role at Kingston University. Prior to that I was a member of the Royal Navy where I served in various roles including at the Ministry of Defence and aboard HMY Britannia. I am responsible for City’s regular giving programmes and legacy fundraising. If you would like to make a donation to the City or Cass Future Fund, initiatives that support our current and future students, or, are interested in remembering City or Cass in your will, please contact me. I joined City, University of London in December 2011. During my career I have accumulated over 25 years of experience working in research, including 17 years editorial research with Trinity Mirror Newspapers and over seven years of prospective research with the Royal Hospital Chelsea and The British Library. As the Development Research Manager, I lead on DARO’s prospect strategy ensuring the alumni database is kept up to date and that fundraising activity is targeted towards the appropriate audience. I joined City, University of London in March 2017 and have several years of major donor fundraising experience with charities such as Victim Support and Alzheimer's Society. I enjoy building relationships and look forward to meeting City's and Cass' alumni, supporters and friends. My role is to build relationships and secure income from individuals to help current and prospective students as well as support and grow the University's academic excellence. Contact me if you would like to support us and make a difference to City, University of London. I have worked at City for over 10 years, starting at Cass as an assistant in the Dean's Office before joining the Development and Alumni Relations team. I now work in the Donor Relations team; we are responsible for managing relationships with our existing donors and keeping them informed of the impact their donation is making. I joined City in 2012 after working in various roles in further and higher education including student mentoring, student support and admissions. I work as part of the Donor Relations team and we develop and implement the University’s stewardship programme. We also manage the administration of externally funded scholarships, bursaries and prizes. 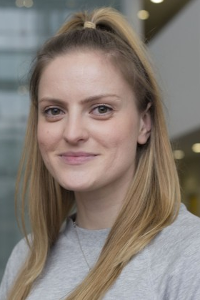 I am a City Law graduate and after several years of involvement with various charities and advocacy organisations, joined the Development team at the university. I support the Trusts and Foundations Manager with looking after income generation for several projects and supporting the established programme of fundraising that benefits all City Schools. I am responsible for managing the operational and strategic functions of the alumni database and provide support to the DARO team on a day-to-day basis. I support the Database Manager and work on various projects to maintain quality by improving the consistency and reliability of the alumni database.